So many put their puts hopes into Syriza; so many were bitterly disappointed. Greece’s Coalition of the Radical Left proved wholly unable to resist the enormous pressures put on it and it is Greek working people who are paying the price, not excepting those who voted for Syriza. How should we analyze the depressing spectacle of what had been a genuinely Left party, indeed a coalition of leftist forces from a variety of socialist perspectives, self-destructing so rapidly? The simplistic response would be to wash our hands and condemn Syriza as “opportunists,” but we’ll learn exactly nothing with such an attitude. If we are serious about analyzing Syriza’s spectacular failure — including those who expected this outcome in advance — digging through the rubble is unavoidable. There were many currents coursing through Syriza, in addition to other Left tendencies outside. Nor were there shortages of people who feared what the fate of Syriza might become, including leaders inside it, before it took power, reminds Helena Sheehan in her new book The Syriza Wave: Surging and Crashing with the Greek Left. * Written in exhilaration and sorrow, Professor Sheehan, a veteran of solidarity work with the Greek Left, rides those tides as she recounts the anticipation and optimism before, and the depression and shock afterward, inside Greece and among Syriza’s allies across Europe. The prologue to this failure is well known, but Professor Sheehan takes us through it in a “you are there” style reflecting what was happening then and her own optimism. That we know how this story will end does not detract from this writing style; rather it heightens the emotions as we re-live what at the time appeared to be the imminent first serious blow against global austerity and the ever tightening grip of finance capital. This was not a pollyannaish optimism, for no one serious had doubts about the immense task facing Syriza should it be elected. Certainly Greece could not be a small socialist island in an immense sea of capitalism — Greece’s problems then and now can have only European and international solutions. Still, someone has to go first. The international Left saw hope in Syriza, and Syriza economists worked on solutions. There was much political seriousness as Syriza was seen as the last hope; that fascism might well be next given the growing menace of Golden Dawn focused minds. Professor Sheehan sets this stage, opening her book in 2012, a year in which a second memorandum is signed, forcing more harsh austerity on Greeks, and in which Syriza rose from a minor parliamentary presence to finishing a close second to Greece’s main party of the Right, New Democracy. Providing the analyses, hopes and fears of a variety of Greek activists gathered on repeated visits, she recounts Syriza’s strong efforts to engage social-movement groups (in contrast to the Greek Communist Party’s sectarianism) and for Syriza to be inter-generational in its leadership. Tip-toeing to the election by backtracking? Nonetheless, there was Left criticism that Syriza was “watering down its wine” or wanting only to manage capitalism instead of creating socialism. Syriza officials vigorously denied this, saying they would reverse austerity cuts, restore wages and pensions, and re-distribute wealth and power. This would not yet be socialism, but “was intended to open a new path to socialism for the twenty-first century.” One danger sign, however, was that the party was split on whether to remain within the eurozone, even if the euro and the European Union as a whole were seen as a site of struggle. Some within Syriza, such as Costas Lapavitsas, argued that Syriza should be prepared for a break with the European Union. Despite these warnings, no systematic preparatory work on any “Plan B” was formulated. Yet no success in a single European country will be sustainable unless it is followed by similar successes in other countries. Syriza would reconstitute itself as a unified party, with its previous constituent groups, including its largest, Synaspismos, dissolving themselves (although some remained outside). One-quarter of the central committee were members of Left Platform, an organized faction advocating reversing austerity by any means necessary, with the central committee majority heterogeneous but pro-Alexis Tsipras. Internal critics complained that too much power was being concentrated in the hands of the party leader and his inner circle, nor was concern that Syriza was moving too far toward the right confined to the Left Platform. Anticipation grew as Syriza prepared to take office, but the party’s 2014 Thessaloniki Program was seen by many as a significant retreat. Was Syriza watering down its wine even before the next election? Whatever the strength of the wine, Syriza won the election of January 2015. The “troika” of EU institutions and the International Monetary Fund that had been dictating austerity to the previous Greek governments wasted no time in tightening the screws on the new government in what was seen as an outright attempt to humiliate Syriza. Negotiations dragged on, and amidst much international solidarity, Prime Minister Tsipras called a referendum that summer to supposedly buttress his negotiating position. Greeks responded by heavily voting “no” to further austerity. The Syriza government then did a remarkable about-face. Eight days later, Prime Minister Tsipras signed an agreement even more unfavorable that what had been demanded by the troika. More than half of Syriza’s central committee signed an opposition letter and most Syriza members were furious. This was ignored. Some Syriza officials offered public justifications for this turn of events, arguing that the party was in a marathon and not a finished race, and that the party retained scope for maneuver and to continue to be a Left party through links with solidarity networks. Others, however, argued that the new agreement was a disastrous capitulation. One alternative path to austerity was to exit the eurozone. The counter-argument was that the analysis supporting a eurozone withdrawal was correct but nonetheless such a road should not be taken due to the balance of forces tilted heavily against the Greek economy. Syriza, despite all the bustle of the previous three years, had taken office unprepared. And, bizarrely, holding a belief that the troika could be reasoned with. Next was a “suicide mission for the Left” — Syriza introduced into parliament a 977-page bill to be voted on immediately with no time to be read. The Left Platform voted no as a unified faction and a separate Syriza parliamentary faction, the 53+ Group, complained about the stifling of party democracy, yet Syriza overall voted yes and the new agreement was approved with support from most other parties. “I do not believe that you can do bad to do good,” is the author’s succinct appraisal. In the wake of shameful capitulation, rather than call a party congress, Prime Minister Tsipras decided to call a snap election, which he would use to purge Syriza of its left wing. He distinguished this campaign by attacking the Left and international supporters. The Left Platform members of parliament resigned to form a new party, Popular Unity, but with little time and no resources it failed to reach the 3 percent vote threshold. Syriza won again. Defections from Syriza and attempts to build a new Left party have continued since as not only is no debt relief in sight despite one humiliating concession after another but Syriza lurches right in foreign policy and the prime minister falls to his knees in front of the church. It had taken Syriza only six months to travel the path that the former socialist party, Pasok, had traveled in 20 years but without the genuine reforms that Pasok had implemented early in its time in government. Implementing and expanding expropriation in order to end it is not dialectical; it is nonsense, Professor Sheehan points out. That Syriza’s actions constitute a retreat, not a betrayal, as transformation is a painful marathon with many retreats. Syriza had no coherent program but its left was too focused on a transformation of the state. Syriza failed to contest the narrative of “there is no alternative” and should have renounced the debt, nationalized the banks and elaborated an anti-capitalist narrative. Syriza’s failure is rooted in its class compromises and constant reassurances to the Right since 2012. Popular Unity has a future despite “messing up” its first election. It is impossible to control the economy inside the eurozone. The power of money destroyed Syriza. Helena Sheehan has written a most useful study of Syriza and in particular the range of platforms and outlooks, and the evolution of these, as the party prepared to take power and then found itself unable to manage, let alone solve, internal and external contradictions. That this is a “you are there” document from a personalized standpoint does not at all mean that The Syriza Wave is anything other than a serious political analysis. The work could have been strengthened in two ways: one, a deeper discussion of the economic issues, including the ramifications of staying in (or exiting) the eurozone, and, two, a discussion of how virtually every euro of the troika loans are going to creditors and banks rather than to the Greek people, a topic barely mentioned in passing only once. These are topics that would have added to the narrative. Nonetheless, a reader wishing political analysis and to understand what activists and leaders in Syriza were thinking and doing, including ministers before and after taking up their posts, would do well to read this book. Professor Sheehan, despite the appropriately bitter denouncements of the party’s performance in office in contrast to her earlier support, ends on an optimistic note. We are, after all, supposed to learn from defeat so we can do it better in the future, yes? Fear is a powerful human emotion. Fear of the unknown surely played a significant part in Syriza’s humiliating climbdown and surrender of what national sovereignty had remained to Greece. Fear is a powerful emotion if consenting to become a colony, agreeing to sell off your country and further immiserating millions is a preferable option to taking back your independence. Perhaps the signal that was not given due consideration was Prime Minister Alexis Tsipras’ statement on July 10 that “we have no mandate to leave the euro.” The Syriza-led government also had no mandate for the continuation, much less the intensification, of austerity. Five and a half months into an administration that could have been used to prepare Greece for a different path instead marked time in futile negotiations, allowing the country’s economic crisis to develop to the point where the troika could dictate any terms it wanted. And make no mistake: There is glee in corporate boardrooms, trading floors, banks and the government ministries that serve them that a Leftist government has committed itself to the harshest austerity terms. A good example of this comes from the late 1990s, when dissident Kim Dae-jong won election as president of South Korea as the first candidate of the Left to win office, only to immediately impose an austerity program imposed by the International Monetary Fund. President Kim’s candidacy had been opposed by the U.S. government, which had supported a series of military dictators, but likely was pleased in the end that he won since it demoralized his supporters and provided a priceless propaganda prop for the idea that there is no alternative to neoliberalism. Although the agreement imposed on Greece by the troika — the European Central Bank, the European Commission and the International Monetary Fund — is indeed a coup, as the instantly popular Twitter hashtag proclaims, it shouldn’t be looked at simplistically as a German diktat. That is not because smaller countries like Finland and Slovakia aligned themselves with Germany in the manner of schoolyard kids standing next to the playground bully so as to not be the next target, but because the German government is acting as the European enforcement wing of international capital. It is a neoliberal world indeed when entire countries are bled dry to safeguard bankers’ profits and doing so is presented as the highest moral duty. The human face might have been German Finance Minister Wolfgang Schäuble in the role of Dr. Evil, but the minister is no more than a physical embodiment of powerful social and economic forces. Forces of human creation but not necessarily in human control. So let us not over-simplify and place all blame at the feet of Syriza by declaring the party “opportunists” or whatever word of opprobrium one wishes. Nor should there be illusions that walking away from the euro, canceling the debt and the resulting cutoff from financial markets would be an easy road to take, even if, in the long term, it is the road that should have been traveled. Socialism in one country is not possible in one small country. Socialism in a single big country would be extremely difficult, if the entire might of the capitalist world were arrayed against it. There are no Greek solutions for Greece, there are only European or international solutions. Fear of offending the more powerful and internalizing the “moral” hectoring they deliver at every opportunity. Guaranteeing bank profits is somehow more “moral” than the health and well-being of entire countries. Social Democrats have absorbed this ideology as thoroughly as conservatives. Yes, Syriza was elected with a mandate to negotiate; that follows from Greek majority popular opinion that the country should remain within the eurozone. But there was also a mandate that austerity be brought to an end. Syriza proved unable to resolve this contradiction: Greece can end austerity or be in the eurozone, but not both at the same time. The vote went ahead, against direct orders by European governments, and Greeks voted 61 percent to 39 against the terms offered. A week later, the Tsipras government agreed to terms that were worse — the harshest austerity yet imposed. So much for democracy. And make no mistake, this deal is consistent with the “structural adjustment” that the IMF has imposed across the global South. Allowing greater wage inequality and a fall in wages as a percentage of gross domestic product through 2019. Raising the pension age to 67 and increasing the health care contribution of pensioners by 50 percent. Gutting labor laws through a “review [of] the whole range of existing labour market arrangements, taking into account best practices elsewhere in Europe.” In other words, loosening worker protections. An “irreversible” privatization of the electricity provider. Privatization of the country’s ports, airports and much else. The prime minister said the popular referendum would strength his negotiating hand. So in the end, what concession did he extract? The fund that will supervise the fire sale of Greek assets, in which the rules will be set by the troika, will be managed from Greece instead of the tax haven Luxembourg. The Greek government has committed itself to sell off state assets worth €50 billion, with half the total to be used to recapitalize Greek banks and the half to pay down Greek debts. Not one euro toward social welfare! Although the government appears to have the approval of Greece’s corporate parties, including New Democracy and Pasok, it does not have the support of all of Syriza. The latter’s Left Platform calls for a “radical reform” of the banking system, the complete halt of austerity policies, an exit from the euro and a writedown of most of Greece’s debt. Outside of Syriza, Antarsya calls for the nationalization of the banks and an exit from the eurozone. A general strike has been called for July 15. And there is no shortage of ideas on alternatives to austerity. Instead, the prime minister says he is choosing a bad choice over a catastrophic choice. Those are the only two choices that the European Union, a project in which rule by finance replaces democracy, can offer. Europe’s capitalists, who established the European Union as a mechanism to tighten their control over the continent and force U.S.-style policies on their societies beyond popular control, won’t be ruffled by that conclusion. But will the world’s working people be? The contradiction of putting an end to austerity and remaining within the eurozone has manifested itself in full force for Greece. At this early stage, it is alarmist to argue that Syriza has “sold out” nor is it realistic to proclaim that Syriza has achieved “victory” in its negotiations. How Syriza uses the four months until the extended bailout program expires in June, and what Greece’s governing party will do once this period ends, will begin to reveal to what extent Greece can put an end to austerity and Syriza can make good on implementing the program that carried it to victory in January’s elections. That is surely the minimum amount of time necessary to begin to make any judgment on Syriza as it is tightly boxed in by circumstances not of its making. It is difficult to avoid the belief that New Democracy intended to hand Syriza a poisoned chalice. Although corporate-media commentary at the time almost uniformly suggested that New Democracy, Greece’s main Right-wing party, was taking a reasonable gamble that it could successfully get its candidate elected as president by parliament, attempting this seemed more an act of suicide. The party had moved up the presidential election, and its failure to seat its candidate automatically triggered early parliamentary elections. There was no reasonable chance of its presidential candidate winning, and little chance of it retaining its parliamentary majority once fresh general elections were triggered. Parties ordinarily don’t intentionally bring down their own government. But with a series of large debt repayments due in 2015 from February to July, the difficulty of making those payments and the rising anger of the Greek people at their immiseration, going into opposition and ducking responsibility for their own policies must have seemed tempting. Syriza has no easy task, nor have Europe’s dominant institutions made it any easier. A week after Syriza took power, the European Central Bank said it would cease accepting Greek government bonds or government-guaranteed debts as collateral for loans to Greek banks. This effectively cut off the main source of financing for Greek banks. The ECB, in its supervisory capacity, also prohibited Greek banks from further loaning money to the Greek government, cutting off another source of funding. With an estimated €20 billion of bank deposits believed to have been taken out of the country from December through late February, and the impossibility of paying off debt while continuing to have enough money to run the government, Syriza’s room for maneuver rapidly shrank. What is crucial is to understand that the “troika” bailed out large multi-national banks, in particular German and French banks, and are now asking Greek working people to pay for it. Through 2009, Greek debt was mostly held by European banks; French and German banks alone held more than 40 percent of Greek debt. The €227 billion of loans from the European Union and International Monetary Fund that have since gone to Greece were used to pay large financial institutions elsewhere. By one estimate, only €15 billion has gone to state operations; none after 2012. The Greek government has been a pass-through, taking the loans given it and promptly sending it to financiers. There are more payments coming soon. Greece is due to pay €450 million to the IMF on April 9 and €7 billion to the IMF and European Central Bank in July, among other deadlines. Because Syriza remains committed to retaining the euro as Greece’s currency, reflecting majority Greek opinion, it remains committed to paying off its debt, which can only be accomplished through cutting government services and spending. This is the pitiless logic of austerity. Unlike the previous New Democracy and Pasok governments, Syriza has not completely surrendered. Last month, two bills were passed in parliament that subsidize electricity, food and housing. Prime Minister Alexis Tsipras has called the extended-bailout measures an “interim agreement” and that the government will not ask for a third bailout when the program ends in June. He also vows that making Greece’s wealthy pay taxes will be a centerpiece of reform. Nonetheless, Syriza has made major concessions, agreeing in February to continued supervision by the troika and that it would refrain from any “unilateral action.” It also failed to get any reduction in its debt, and must pass an inspection by the troika in late April before it receives any of the money agreed in February, when the bailout extension was signed. Syriza was required to submit a list of reforms that must be approved. It did so on March 27; negotiations are continuing but the list was met with initial disapproval for not giving the troika everything it wants. Among those reforms are a series of tax measures estimated to raise an additional €3.7 billion in revenue for the government, including cracking down on tax avoidance by the wealthy and on smuggling. But there is also another major concession, allowing the privatization of Greece’s most important port, at Piraeus, to go ahead despite promises to halt all privatizations. That is estimated to raise another €1.5 billion. A Chinese state-run shipping company seeks to buy a two-thirds stake. The austerity that has been imposed has resulted in a contraction in gross domestic product of 25 percent, unemployment above 25 percent, a fall in real wages of 30 percent and a reduction in industrial output of 35 percent. And the size of the foreign debt has risen! There is no way out of this without renouncing at least some of the debt, and doing so means leaving the eurozone and re-adopting its old national currency, the drachma. There should be no illusions that doing so will be free of pain. Left to the tender mercies of speculators, the drachma could conceivably lose 75 to 80 percent of its value in a short period of time. Assuming that a re-instituted drachma is initially valued at one euro, this would mean that imported goods will cost the equivalent of three or four euros instead of one, a drastic inflation. Such a drastic currency devaluation would presumably spur a big increase in local production, because Greeks would need to produce internally to make up for being able to buy far less products from outside the country. It would also give a boost to exports, because Greek goods would now be cheap. This is the “Argentina option,” so called because Argentina followed this path in the early 2000s, almost immediately improving its economy. But the Argentine government did nothing that touched capitalist relations, and of late the country has suffered from mounting difficulties. Is leaving the eurozone necessarily the question? Thus there are Left, even Marxist, economists who do not believe Greece should leave the eurozone but rather go ahead with nationalizations and other measures anyway. So the debate over euro versus drachma does not fall along clear-cut lines. For example, a prominent economist elected to parliament on the Syriza ticket, Costas Lapavitsas, argues that Keynesian measures are what are possible in the immediate moment but that Greece must drop the euro. Another prominent economist, Michael Roberts, argues for an immediate Marxist-inspired program but that Greece should retain the euro. Professor Lapavitsas argues that, although getting rid of capitalism is what is needed in the long term, for now getting rid of austerity is what is necessary and that is impossible within the framework of the eurozone. He believes that a negotiated exit from the euro would be the best solution. This would include a 50 percent debt write-off and that the devaluation of the drachma be limited to 20 percent through an agreement with the E.U. to tie its value to the euro; that is, the drachma would not be traded freely as currencies customarily do. Bank nationalization and a public takeover of strategic industries should be at the center of any Greek plan to raise investment and growth, Professor Roberts argues. Although in favor of Keynesian prescriptions such as progressive taxation and labor rights, these measures should be geared toward a larger project of replacing capitalism, not to try to make capitalism work, in or out of the eurozone. But he acknowledged that should his program be adopted, Greece might be expelled from the euro anyway. There are no guarantees. Professor Lapavitsas’ belief that a drachma devaluation can be held to 20 percent seems overly optimistic and Professor Roberts’ belief that Greek must leave the European Union (and thus have trade cut off) were it to drop the euro seems overly pessimistic. Whatever direction Greece takes, however, it can’t travel as far as it needs to on its own. An economy drastically remodeled on a democratic basis is the only solution in the long term, but such a country would face severe pressure from capitalist governments seeking to destroy it. Greece must create links with countries attempting to move past capitalism, such as those in Latin America, and must be joined by other European countries traveling the same path. Greece can’t be a socialist island in a global sea of capitalism. There are only international solutions, not Greek solutions, to Greece’s problems. The capitalist alternative is to continue to be immiserated for the sake of private profit, the same fate as the overwhelming majority of humanity. Will a Syriza victory be the first blow against austerity? Is the first step toward the unraveling of European austerity about to begin, courtesy of Greek voters? The future direction of the European Union certainly won’t turn merely on the results of Greece’s January 25 parliamentary election, nor will the world slip off its axis if the expected Syriza victory materializes. Nonetheless, the first blow has to be struck some time, by somebody. If Syriza does take office and if it can hold firm against the withering pressure that it will immediately be subjected to, an alternative to financial industry diktats could provide an example elsewhere in the E.U., particularly within the eurozone. That example can not be taken up too soon, given the many economic weapons likely to be deployed against a Syriza-led Greece. (Perhaps in Spain, where Podemos, the party organized a year ago by the Indignados movement, already is a near three-way dead heat with Spain’s biggest parties, Popular and Socialist, according to recent polling.) There is no Greek solution to Greece’s economic collapse, only a European solution. Such fear-mongering won’t only come from the Greek establishment. European governments have alternated between ordering Greek voters to vote for pro-austerity parties and to insisting that both a Greek exit from the eurozone and any changes to Greece’s debt obligations are unthinkable. These have not only come from German Finance Minister Wolfgang Schäuble, as would be expected, but from French President François Hollande, continuing his journey to becoming Paris’ Monsieur 1%. Syriza — the Coalition of the Radical Left — re-constituted itself as a single party at its first congress in July 2013. Nearly 500 organizations were represented at the congress, which elected Alexis Tsipras as party president and a 201-member central committee. Close to 20 groups comprised Syriza prior to this congress (when it was formally a coalition), most of which remain as part of the party while a few became “allied groups.” The party includes Trotskyist, Maoist, Eurocommunist and other non-orthodox communist Leftist groups, but that does not mean it intends to implement a revolutionary program. Re-negotiate the national debt and a “haircut” on the foreign debt. Impose higher taxation on the rich. Raise salaries for some low-paid employees. Abolish a recently enacted property tax. Provide more money for the municipalities and the local authorities. Re-open public radio and television, which were summarily shut by the outgoing government. Establish a new national development bank. Restore Greece’s previous monthly minimum wage of €751. Even within Germany, the Left Party advocates a nationalization of banks, so Syriza doing so would not be outlandish (especially as public control of banking and the elimination of speculation are prerequisites for a democratic economy). And a restoration of the previous Greek minimum wage of €751 a month is not living in luxury — at current exchange rates, that’s US$893 or £589. Nobody is living well on that. The program, Mr. Tsipras said, is to cost about €13.5 billion. The Greek newspaper To Vima reports that, of that total, about €2 billion would go toward addressing the humanitarian crisis, €6.5 billion would be used in measures to help restore the economy (with an estimated €3 billion toward benefits), and €5 billion would be invested in restoring employment. This cost is six percent of the total of the loans by the troika (the European Commission, European Central Bank and International Monetary Fund). These reforms — which would do nothing to challenge the prevailing power relations and amount to a program of Keynesian initiatives — are nonetheless presented as the crazy schemes of dreamers. “Every new government needs to fulfil the contractual agreements of its predecessors. … But if Greece goes in another direction then that’s going to be a difficult situation,” Finance Minister Schäuble said, as reported by Reuters. Well, no need for any more elections, then. Most of all, it would be some sort of moral outrage, scream European leaders and echoed by the corporate media on both sides of the Atlantic. Conveniently overlooked is the huge debt forgiveness given to Germany after World War II, which surely helped the Federal Republic recover. Germany’s pre-war debt amounted to 22.6 billion marks, including interest, and its postwar debt was estimated at 16.2 billion marks, according to the Committee for the Abolition of Third World Debt. Yet the U.S., the U.K. and France agreed in 1953 to forgive nearly two-thirds of that total, and allowed Germany to negotiate payment schedules in cases of financial difficulty. On top of that, the allies voluntarily reduced the amount of goods they would export into the Federal Republic so that it could reduce its trade deficit and give a boost to its internal manufacturers. Syriza argues, not unreasonably, that what was done for Germany in 1953 should be done for Greece today. And, although debt writedowns and aid programs such as the Marshall Plan went toward raising living standards of Germans, the €227 billion of loans that have gone to Greece benefits large financial institutions elsewhere, none more so than German and French banks. By one estimate, only €15 billion has gone to state operations; none after 2012. The Greek government has been a pass-through, taking the loans given it and promptly sending it the financiers who own the debt. At the end of 2008, more than 50 percent of the debt was owed to banks in Germany, France and Italy alone. The troika has not been propping up the Greek government, it has been propping up Europe’s banks and financial houses. That derives from the neoliberal concept is that people exist to serve markets rather than markets existing to serve people. Entire countries have been harnessed to the dictates of “markets.” This has long been the pattern imposed by the global North on the South through institutions like the IMF; now the stronger countries of the North are imposing it on their weaker neighbors. Taxpayers in those stronger countries are on the hook, also, as some of their taxes go toward the bailout funds, for which bailed-out countries are merely a conduit to pass the money to financiers, often from their own country. 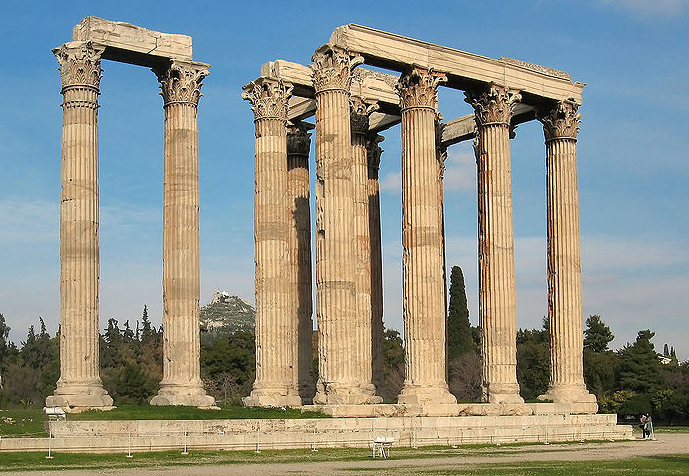 What has Greece received from the troika’s loans? Greek gross domestic product has contracted by 25 percent, unemployment is above 25 percent, real wages have fallen by 30 percent and industrial output has declined by 35 percent. The country’s foreign debt has actually risen, to 175 percent of GDP from approximately 130 percent in 2009. This is what the International Monetary Fund hailed as “progress” two years ago! Just as “the market” dictates a race to the bottom for labor, the harshest terms that can be imposed are mandated for debtors, always wrapped in a hypocritical, sanctimonious “morality.” German Chancellor Angela Merkel is not stubborn nor obsessed with Weimar-era inflation, as she is sometimes portrayed; she is simply reminding other national political leaders that economic harmonization will conform to the tightest policy among them and Germany so happens to have that tightest policy. This is the will of the “market” to which they chained themselves. Greece can not be a socialist island in a capitalist Europe, nor can any other country; that understanding is reflected in Syriza’s program. What might a different Europe look like? Various non-orthodox economists have proposed programs, some envisioning Greece remaining in the eurozone and some envisioning Greece dropping the euro and returning to the drachma. What these programs have in common is a vision of a European-wide economic restructuring. To summarize some of these ideas: The E.U. should be leveraged to internationalize the resistance of working people; full employment demanded as an explicit goal; banks should become publicly owned and democratically controlled so that capital is directed toward socially useful investment instead of speculation; a highly progressive taxation system should be coordinated at the E.U. level; wages raised to account for improved productivity that has, for three decades, gone to capitalists; governments should default at least some of their debts to banks; bank deposits should be guaranteed; and there should be more investment in education to enhance future productivity. Impossible? In a capitalist Europe, yes. But in a better world, these kinds of ideas would simply be common sense. Why shouldn’t they be? Those bland-sounding words take on deeper meaning when we examine the “structural reforms” already imposed on Greece by the IMF, the European Commission and the European Central Bank, the “troika” that dictates Greek policy. In February 2012, for instance, the Greek government agreed to reduce the already low minimum wage by more than 20 percent, to freeze all public-sector wages until the unemployment rate falls below 10 percent and to deep cuts in pensions. The Greek minimum wage is €751 per month (equivalent to US$990 or £636). How well could you live on such a sum? Overall, wages have fallen 40 percent and health care spending has been cut 25 percent. Meanwhile, most of the money released by the troika goes straight back to lenders, not for internal relief. As a result of this austerity, it is no surprise that retail sales in Greece have declined by 30 percent over the past three years and an estimated 150,000 small businesses have closed. Poverty has become so widespread that an estimated 10 percent of Greek’s children go to school hungry. Yes, if only Greeks would believe that hunger is a sign of progress, everything would be better! In lieu of a sudden spasm of optimism, generating “broad support” for bleeding the country dry to pay back financiers who made reckless gambles might be difficult. Although it might be tempting to note that doing the same thing over and over while expecting different results is unreasonable, reasonableness is besides the point here: Austerity programs are designed with ideology in mind, not with economics based on the real world. One clue to this is that “structural re-adjustment” programs invariably demand sell-offs of public assets — holding fire sales of state enterprises means private capital can scoop them up at very low prices, and profit nicely from doing so at public expense. The neoliberal concept is that people exist to serve markets rather than markets existing to serve people. Entire countries have been harnessed to the dictates of “markets.” This has long been the pattern imposed by the North on the South through institutions like the IMF; now the stronger countries of the North are imposing it on their weaker neighbors. Taxpayers in those stronger countries are on the hook, also, as some of their taxes go toward the bailout funds, for which bailed-out countries are merely a conduit to pass the money to financiers, often from their own country. Much of the money Europeans lent to Greece was used to bail out German and French speculators. The race to the bottom, of which austerity programs and the continual shifting of production to locations with ever lower wages constitute crucial components, represents an intensification of market dominance over human life. It is also a result of a scramble to maintain profits, which have been under continual pressure from the economic crisis. But neoliberalism is not the product of a cabal “hijacking” economies or governments; it is the natural progression of a system that insists “markets” should be the arbiter of all human problems and the model for social relations and institutions. Capitalist markets are not neutral abstractions perched loftily above the Earth; they are the aggregate interests of the wealthiest industrialists and financiers as expressed through the corporations and other institutions they control. “Markets” dictate that school children faint at their desk due to hunger while billionaires grab ever more. We can do better than this. There is no Greek solution to Greece’s crisis. There can be only an international solution. However that solution unfolds, the day when a radically different course, a clear alternative to austerity, can no longer be avoided is perhaps drawing closer. Aware of their dwindling support and the increasing desire among Greeks for a different course, the two “left of center” parties propping up the pro-austerity right-wing government of Greece may yet balk at committing a final suicide. Four days after the expiration of a deadline handed down by European Union finance ministers, the leaders of Pasok and the Democratic Left were still refusing to fully agree to demands for yet another round of cuts and labor “reforms,” the standard euphemism for eliminating job protections. Those leaders’ reluctance to agree to terms with Prime Minister Antonis Samaras, and their apparent ending of talks (at least for the moment) on October 23, adds more uncertainty to the already conflicting signals coming from the Greek government. The “troika” — the International Monetary Fund, the European Central Bank and the European Commission — have been unyielding in insisting that Greece impose more austerity on its citizens in exchange for the latest tranche of financing totaling €31.5 billion. Overall unemployment is at 25 percent. Youth employment is at 55 percent. Average wages have been cut 40 percent. Cuts to the health care system of 25 percent since 2009. Economy has shrunk 18.4 percent since 2008. The years of austerity were supposed to turn around the Greek economy, yet the deficits only become larger. The country’s deficit for 2011 is now estimated to have been 9.4% and its debt has widened to 171% of gross domestic product. If more people are thrown out of work and those still employed take home less, then less can be bought and less taxes will be paid. Although the International Monetary Fund quietly admitted earlier this month that austerity does not work, the troika is holding to a hard line in demanding still more austerity measures. Greece is expected to come up with another €13.5 billion in cuts. The troika demands implementing a six-day working week; further cuts to the minimum wage; further reductions to pensions; “increased flexibility” of work schedules; tens of thousands of government workers and professors be laid off; and income-tax rate gradations flattened, which would increase the tax burden on those who aren’t wealthy. The latest €31.5 billion installment won’t be going to Greeks; virtually all of it will go to banks. A conservative Greek newspaper, Kathimerini, reported (based on a leak from Pasok) that Germany’s finance ministry demanded that an escrow account be set up that would ship money to the European Central Bank. The proposed escrow account would not only be the recipient of all the bailout money, but Greece’s tax revenues would also sent there. To put this in plain language, Greece would be reduced to a vassal state in which it had no control over its finances and its tax revenues would be used to pay banks instead of for government functions. The waves of strikes that have washed over Greece is a development that Samaras can’t fail to notice. Yet he and his government have nothing to offer other than more austerity; the “troika” certainly has nothing else to offer. A radically different course is necessary. Greece can not survive as an island unto itself — to repeat, there is no Greek solution to Greece’s problems, only an international solution. Financiers and industrialists operate internationally, and working people have no alternative to uniting across borders in order to defend themselves. New taxation policies to lessen the burdens on low-income people and small businesses to make taxation more fair and to eliminate the large problem of the “black market” whereby many Greeks don’t pay taxes. Elimination of the “clientist” system that rests on the “inside dealing” of the two-party system (New Democracy and Pasok) through a drastic overhaul of the administrative system and empowerment of citizens through bottom-up and top-down changes. New institutions of workers’ control and social control to increase day-to-day democracy and accountability. Democratic planning involving the parliament, the scientific community and society at large, linked to specific policies. Development of long-term plans to reconstruct the economy on the basis of increased bargaining power for labor; reducing dependence on imports and external borrowing, supporting employment and respecting the environment; and building a society of justice, full employment and solidarity, with an enhanced and equal position in the European and international division of labor. Changing the banking system to support the real economy and a targeted productive reconstruction, establishing public control over banking, and recapitalizing banks through the issuing of ordinary voting shares. Such a program is by no means “revolutionary,” and Syriza supporters don’t claim it is. But such a program (which has much more to it than the above summation) is no mere reform, either; rather, it offers a radically different way of organizing Greek society tomorrow that can be built with the bricks of today. This program also keeps Greece connected to Europe; Greece can’t prosper in isolation. Present-day Europe, in the form of a European Union dominated by the unaccountable and undemocratic European Central Bank, is not capable of becoming a platform for such a program as outlined by Syriza. Ultimately, Greeks, Europeans and everybody else can only prosper in a democratic system geared toward social good, public accountability and an economy oriented toward full participation and the development of all men and women. The dismantling of the current structure of the E.U., one-sided trade agreements, international financial institutions and the immense power concentrated in corporate hands will have to be mirrored everywhere. If we are living in a globalized world, then the world’s salvation can only be on a global basis. You can vote as bankers dictate, but is that democracy? Voters in Greece sort of voted as they were ordered to by European financiers and banking officials. Or least enough voters did so for them to declare victory. The stability that financiers and banking officials cherish, however, appears elusive. Greece will have a new austerity government although anti-austerity parties won a majority of votes. For, to put it in the current Greek terminology, the pro-“memorandum” parties earned only 42 percent of the vote between them. Yet those two parties, New Democracy and Pasok, won a majority of seats in Greece’s parliament. Those parties, along with coalition partner Democratic Left, will govern for now, but they will not rule. The 50-seat bonus given to the first-place finisher, a peculiarity of Greek electoral law, did what it is intended to do — make the formation of a government easier. Without the bonus, there would have been too much fragmentation and the likelihood of a third election in as many months. As it is, the June 17 re-vote provided a vivid illustration of a bitterly divided country, although the vote was more consolidated than was the May 6 vote. New Democracy, Greece’s major party of the Right, won 30 percent of the vote this time as opposed to 19 percent a month ago; Syriza, the Coalition of the Radical Left, won 27 percent of the vote as opposed to 17 percent a month ago. At bottom, such consolidation probably reflects more than any other factor the relentless pressure applied by officials of the European Central Bank, the European Union apparatus, the Bundesbank (Germany’s central bank) and finance capital in general. They quickly served notice that the pressure is not off when they demanded the formation of a government to their liking. European Union officials were said to be insisting on the largest possible coalition, although New Democracy and Pasok, Greece’s discredited parties who formerly alternated in government, do have a majority of seats by themselves thanks to New Democracy’s 50-seat first-place bonus. Double-talk promises by the two parties that there is no alternative to continuing with the “memorandum” (as the agreement with the European Commission, European Central Bank and International Monetary Fund is called in Greece) was paired with their insisting they would negotiate new terms. In essence, New Democracy and Pasok said, “Vote for us and we’ll get more loans and better terms.” But let’s parse the finance ministers’ statement above. The key passage is their “expectation” that the “Greek government that will take ownership of the adjustment programme,” making sure to note that Greece has “committed” itself. Minor tinkering with the details aside, that means stick with the (austerity) plan. Considering the highly politicized state of Greeks these days, the number who voted for one of the two austerity parties out of fear induced by the daily warnings of economic armaggedon must surely be higher than those who believed the unrealistic promises. The statement given by the finance ministers isn’t any different from what they, and the financiers whom they represent, had repeatedly delivered in the five weeks between elections. The translation of Chancellor Merkel’s statement is that the “markets” — financiers in the form of investment bankers, bond traders, hedge-fund managers and other speculators — will be making the decisions. That is consistent with her insistence that further “relief” from mounting debt depends on a willingness to subordinate further to financiers and central banks. Chancellor Merkel is not a stubborn holdout nor obsessed with Weimar-era inflation as she is often portrayed; she is simply reminding other national political leaders that any eurozone harmonization will conform to the tightest policy among them and Germany has that tightest policy. The “markets” insist on it. The choice facing not only Greeks but all peoples living in eurozone countries is to accept the logic of capitalist development or to mount a coordinated, cross-border fightback. Accepting the logic of E.U. capitalism is to accept that financiers and central bankers will continue to impose austerity and the inevitability of relinquishing the power to make political decisions to them so that decisions are made by unaccountable bureaucrats in a supra-national governing structure rather than by national governments subject to elections. Not that elections are currently decisive. The new Greek government will govern, but it will not rule. That was made clear last year, when former Prime Minister Georgios Papandreou dared to suggest a popular referendum on austerity plans. The Guardian reported at the time that Chancellor Merkel and then-French President Nicolas Sarkozy “summoned” the Greek prime minster to a meeting to inform him there would no referendum. There wasn’t. What did happen was a dictated revision to the Greek constitution mandating that repayment of debt would supersede any other government spending. Markets aren’t voted upon. But, again, markets are the amalgamation and distillation of the most powerful big capitalists, and it is those interests that will not be put to a referendum. New Democracy and Pasok had already submitted to this power and, having made their commitment, can do nothing other than go on submitting to it. There are far from the first. Here are two quick examples. When the Sandinistas stood for re-election in 1989, Nicaragua had endured several years of debilitating terrorism and economic sabotage from the Contras and their U.S. organizers. There was no ambiguity here: the United States told Nicaraguans to vote out the Sandinistas or the war will continue. Weary Nicaraguans voted to end the war and for a coalition that dangled promises of U.S. aid in exchange for voting as they were told. The war did end, but no more than a tiny fraction of the promised aid was delivered. Nonetheless, the anti-Sandinista coalition, having made its commitment, carried out the dictated privatization that was a windfall to foreign capitalists because the state properties were sold well below market value — the price for what aid did arrive. A second example is South Korea. Austerity was imposed on that country as the dissident leader against military dictatorship, Kim Dae-jung, became South Korea’s first opposition president at the end of 1997. Speculators had fueled construction booms and stock-market bubbles across Southeast Asia in the mid-1990s, causing an inflation in the local currencies until it was no longer profitable to speculate on the exchange rates. At that point, speculators pulled their money out, causing the value of those currencies to plunge and triggering the region’s 1997 economic collapse. Countries such as Thailand had to impose harsh austerity, including widespread layoffs, in exchange for loans needed after the collapse. President Kim took office two weeks after South Korea accepted loans with similar conditions, and although the United States had failed in its effort to defeat him, “market discipline” did more to neutralize him and demoralize his supporters than direct U.S. political pressure could have done. No single country can stand outside the forces of capitalism. Syriza, had it finished first and been able to form a government, could not simply delink Greece. Syriza’s voters unambiguously sought an end to austerity, an end to immiserating an entire country to maintain financiers’ profits and the renouncement of the memorandum including a halt to debt payments. A Syriza-led government could do those things, but would still be forced to maneuver within the parameters of the world capitalist system. It is estimated that the Greek government is owed 45 billion euros in unpaid taxes. On top of that total, many wealthy Greeks and some middle class Greeks who work in the private sector pay little or no taxes. Greece’s most powerful industrial sector, the shipping industry, pays no taxes and has its tax-free status enshrined in the constitution. New Democracy’s base is the wealthy and others who don’t pay taxes. The party’s backers would not tolerate a change and have a network of links with international capitalists intertwining their interests. Syriza and the other Left parties in Greece could require them to pay taxes, but the ease with which the wealthy can move their assets and bank accounts to other countries would greatly diminish the effect. Inevitably, nationalization of key industries would move on to the agenda, and that would bring to the fore a serious questioning of the capitalist system. That system can’t be challenged by any one country, certainly not one as small as Greece. A credible challenge can only be a multi-national challenge. And a challenge to austerity, or the larger system that imposes it, will not take place in the ballot booth. For the past several weeks, Greece had been on a knife edge, a political Schrödinger’s cat. Accepting the memorandum, rejecting the memorandum. The latest election gives the appearance of acceptance at the same time more voted to reject. A stalemate. But that is not any more stable. Greece can not accept and reject simultaneously. If the choice, finally, is to reject, then the rejection can only be an international rejection. The world’s financiers and industrialists are united across borders; the rest of us must be as well. We may be Greek working people, British working people, U.S. working people, Argentine working people, and so forth, but we share a common humanity — the basis on which to join together. It is Greece today but it will be you tomorrow.